Camryn & I went on a little date down to see some of our favorite graffiti artists recent work at the Hope Outdoor Gallery. My brother-in-law is a super talented artist and he introduced me to Erika, or @400MLBakery You may remember her from this post. She’s one of the sweetest, and most genuine people, and Camryn & I love her witty, fun art. 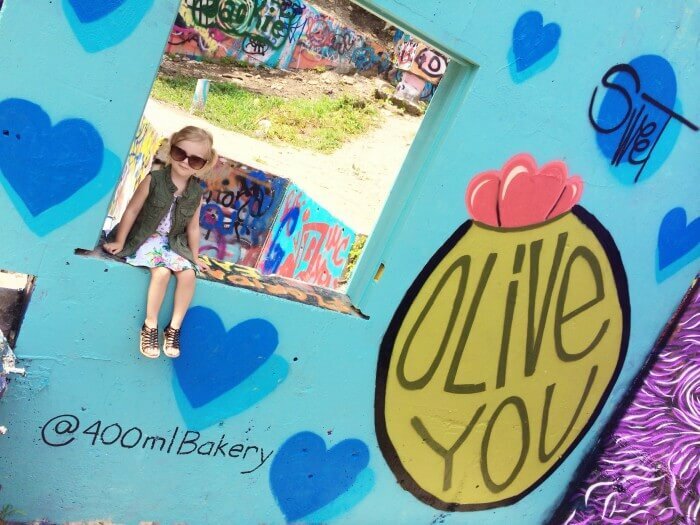 She definitely helps keep Austin cool, and her art draws in locals and tourists for awesome photo-ops…us included. 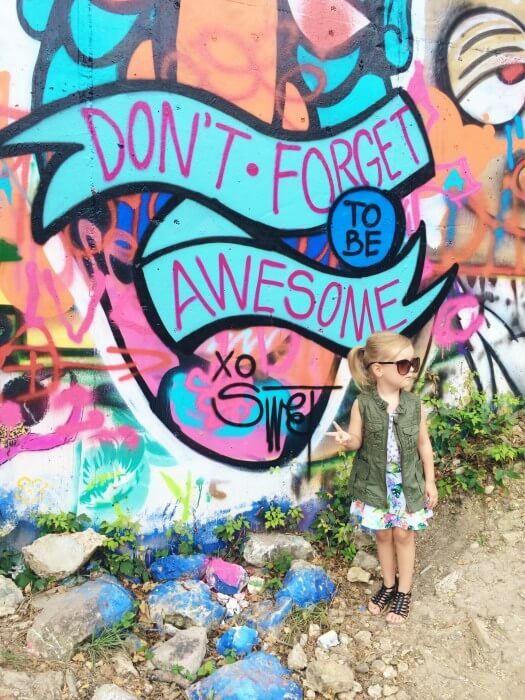 If you live in Austin, go check out the Hope Wall, also known as Castle Hill. 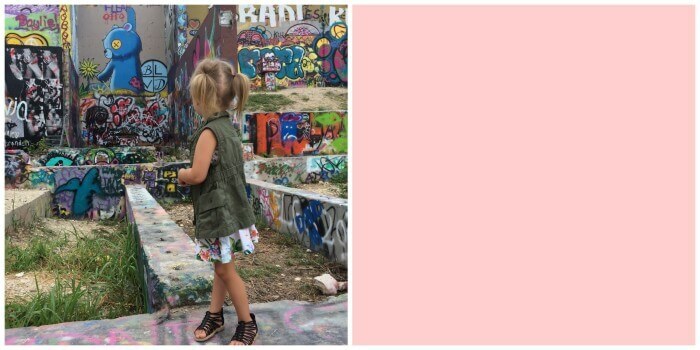 If you don’t live in ATX, I hope you at least enjoyed looking at pics of my sweet girl, and you can sneak more pics of Erika’s art on her instagram! 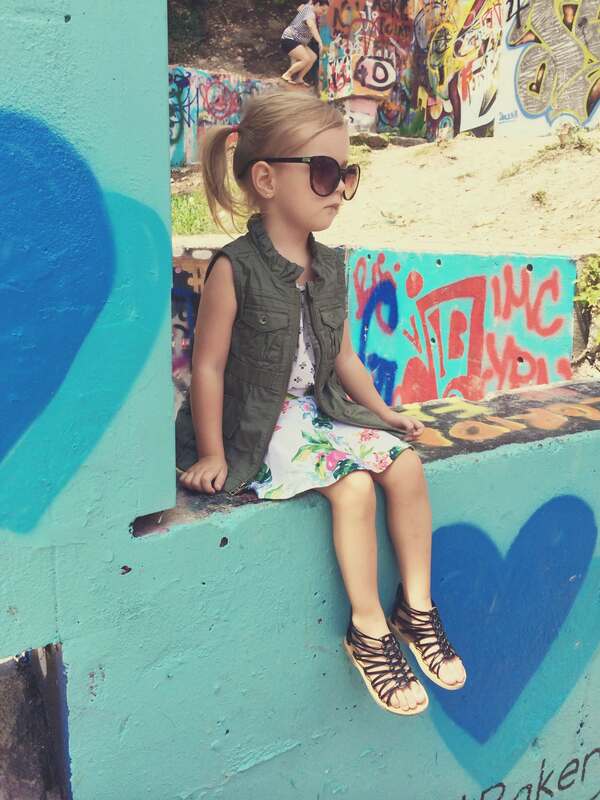 Coolest little chick EVER. I love how happy that graffiti art is. I mean she’s the best!! 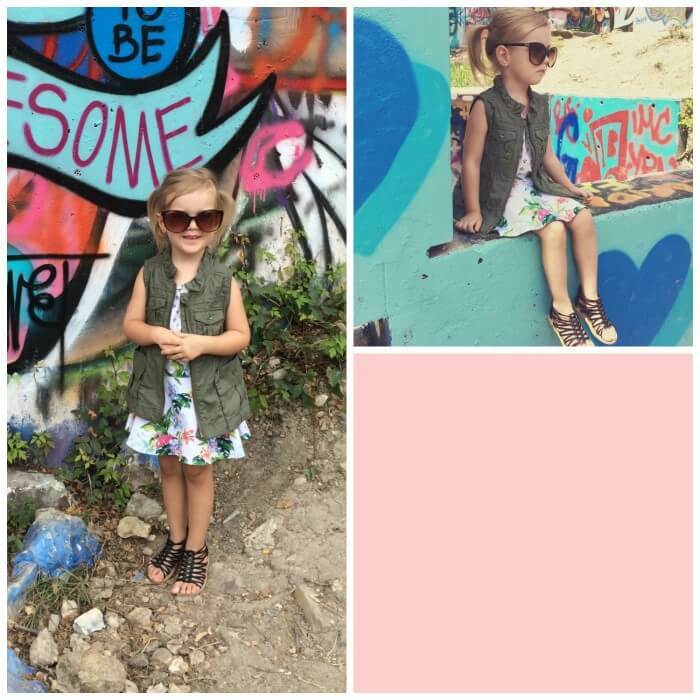 So my niece is Camryn’s twin – I know you dont think it’s possibly but she’s 3 and has just as much sass as Camryn and loves to dress up and be a ham for the camera!! Need to send you a picture!! I love how when Camryn spots spray paint she yells “UNCLE!” My parents took me and my sister to see lots of art when we were young, and it (obvs) was a huge positive influence. 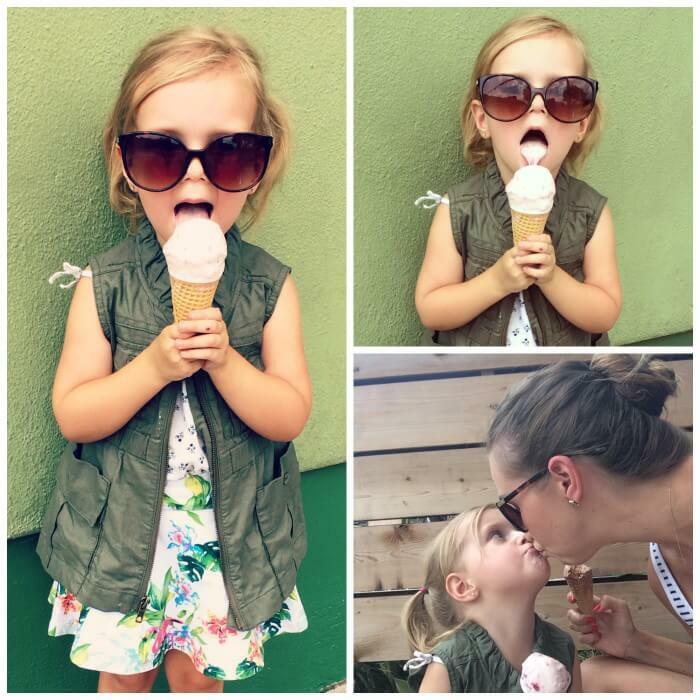 So fun to see these photos this morning – the 3 of us are way overdue for an ice cream date!